Alfredton Dental - Ballarat Dentists | Emergency Dentists. Creating Healthy Smiles For Life. Ballarat Dentists, Alfredton Dental is conveniently located at 31 Cuthberts Road, Alfredton. Alfredton Dental offers a wide range of dentistry treatment options including Dental Implants, Cosmetic Dentistry, porcelain veneers, crowns and Bridges, Root canal treatment, sleep splints, teeth whitening etc. 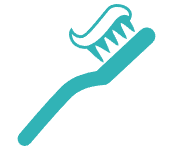 We are committed to provide you with the best possible dental services. If this is your first visit to our website please take a look at the navigation bar to help you move around, welcome back if you’ve visited us before. When you become our patient you become part of the Alfredton Dental Care team. Our aim is to help our patients maintain a healthy smile for life. Our website is here to provide information and support for our patients. We hope you find it informative and of value, please feel free to give us your feedback. When it comes to health issues, sooner or later we all experience moments of need. If you have a bad tooth ache or any other form of dental emergency getting you OUT of dental pain is our priority. New patients are always welcome to our practice. We allocate time for emergency appointments everyday. We are proud to be partnered with many major health funds and government dental schemes including Bupa Member First Dentist, Medibank Members Choice, HCF - More for Teeth Program the Medicare Child Dental Benefit Scheme and many more. Looking for an Emergency Dentist in Alfredton? Then you have come to the right place. We offer emergency dental to get you out of pain as quickly as possible. We are one of only a few Ballarat dentists open Saturday and we allocate time for emergency appointments everyday. We are also preferred dentist in Ballarat for most major health fund rebates available including Bupa Member First, Medibank, HCF, NIB, CBHS and Defence Health. Call today and find out how we can help relieve that tooth ache. We are proud to be preferred providers of Bupa, Medibank, HCF, NIB, CBHS and Defence Health. We also accept all other health funds as well.